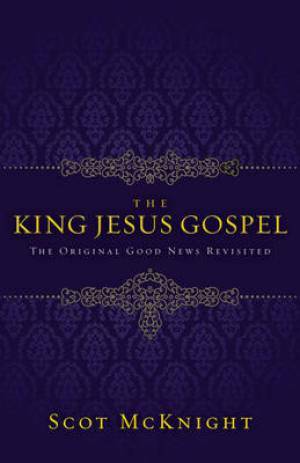 Scot McKnight’s latest book, The King Jesus Gospel, is a revolution for evangelicalism. It is an incredibly important and timely work, one which calls us to leave behind our “salvation-culture” and take up, once again, the “gospel-culture” set forth by the preaching of Jesus and the apostles. I’ve worked through a little over half of the book on the blog already. 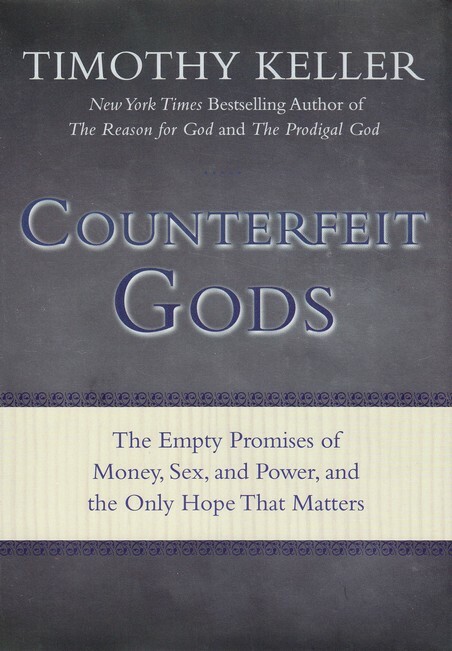 My discussion of the first three chapters, which lays the groundwork by establishing the problem McKnight sets out to address, can be found here. The second post on the book, which dealt exclusively with chapter four, in which he lays out the book’s thesis and defines the apostolic Gospel, can be found here. The last post I wrote on the book covered chapter 5, where Scot discusses how salvation overtook the Gospel. We evangelicals have mistaken the Plan of Salvation for the Gospel. We have traded in a gospel culture for a salvation culture. Our evangelism focuses exclusively on bringing people to a point of decision. As a result, we do a poor job of making genuine disciples of Jesus. In that last post I promised to cover the final two chapters of the book in a future post. So without further ado, I shall keep my promise. The way that we “gospel”, or evangelize, today is different from the way the early believers, including the apostles, evangelized. (Scot likes to use the word “gospel” as a verb, so I’ll put it that way from now on.) He sees several points of comparison, the first of which is what gospeling seeks to accomplish. 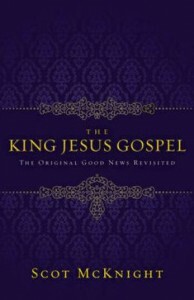 “The gospeling of Acts, because it declares the saving significance of Jesus, Messiah and Lord, summons listeners to confess Jesus as Messiah and Lord, while our gospeling seeks to persuade sinners to admit their sin and find Jesus as their Savior.” (133) He goes on to say, “the gospeling of the apostles in the book of Acts is bold declaration that leads to a summons while much of evangelism today is crafty persuasion.” (134) Ouch! So now what? How do we go about creating this gospel culture that we so desperately need? The first thing we must do is become people of the story. “To become a gospel culture we’ve got to begin with becoming people of the Book, but not just as a Book but as the story that shapes us.” (153) Too many of us are functionally biblically illiterate. We are more profoundly shaped by the doctrines and dogmas that we extract from the Scriptures than by the overarching story God is telling within them; and while there are many dogmas, there is only one Story. We must also become people of the story of Jesus. 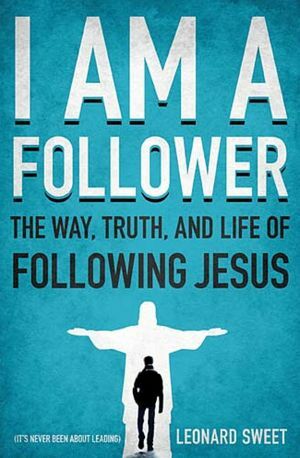 “We need to immerse ourselves even more into the Story of Jesus. The gospel is that the Story of Israel comes to its definitive completeness in the Story of Jesus, and this means we have to become People of the Story-that-is-complete-in-Jesus.” (153) We must return to the four Gospels! 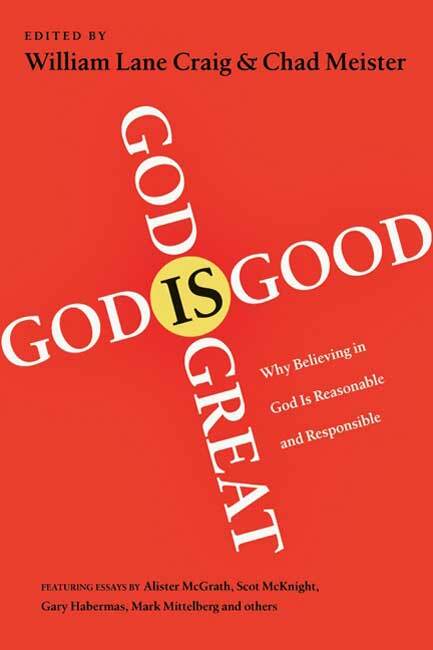 There is more to say on these points, and Scot presents two other important points to create a gospel culture, but this is a book review, not a book report. 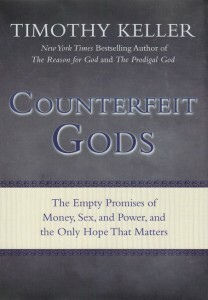 Here is my review: Read this book! Now I want to say one thing that Scot doesn’t about how to create a gospel culture, and I say this to my fellow preachers out there. Preach the Gospel! Stop participating in the damnable story of American Consumerism & Pragmatism. Stop trying to draw a crowd. Stop preaching the no-Gospel of Success & Self-Improvement. That is not your task. That is not your calling. You are a minister of the Gospel, so preach it! Your sermons shape your congregation and define its culture, and too many of you are creating a culture that is nothing more than a slightly more moral version of the wider American culture. You’re telling the wrong story. You cannot create a gospel-culture unless and until you preach the Gospel. This will most likely take you down a new path, one that you probably won’t like. You will have to say goodbye to the Story of Success and Fame and Power. But you’ll discover that the Gospel is worth it. May the Church’s preachers become gospelers, that we all might learn to live out the Gospel, boldly proclaiming that Jesus Christ is King-over-All. What’s this? Another review of Love Wins? I suppose if there were one book that didn’t need another review, it’s Love Wins by Rob Bell. But, since I blogged about it all of last week, I thought I should go ahead and give it an official sometimespreacher book review. 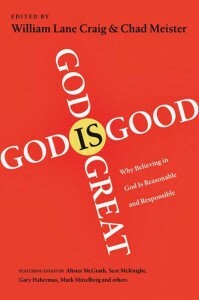 The book is written in Rob Bell’s trademark style. God is angry with you. The gospel is your “Get Out of Hell Free” card. God has predestined a select few for heaven, and everyone else goes to hell. Those who have never heard of Jesus will spend eternity in hell. While Bell does a good job of deconstructing these beliefs, he fails, in my opinion, to reconstruct a convincingly biblical alternative. He uses some sloppy exegesis to get where he wants to go, and his scholarship does not hold up under inspection. What Bell is saying, however, is well worth saying; unfortunately his style far exceeds his substance. It’s going to be left up to others to flesh out what the Bible says about these matters. What I appreciated most about the book (and if you’re familiar with Rob Bell, this is nothing new) was his emphasis on the continuity of heaven, hell, and earth. He has long preached that heaven is not simply somewhere you go when you die, but that eternal life starts in this life, and that one day heaven and earth will become one. I’ll Fly Away is his least favorite hymn, and I can only assume that he’s not a rapture guy, either. What has earned Rob Bell the labels universalist and heretic (and John Piper’s now infamous tweet, “Farewell, Rob Bell”) is his chapter There are Rocks Everywhere. In this chapter, Bell asserts that “Muslims, Hindus, Buddhists, and Baptists from Cleveland” can all get into heaven. How? Through Jesus, but maybe not in ways that we are comfortable or familiar with. He affirms that Jesus is the only way to the Father, but he leaves the door open for many ways to get to Jesus. Maybe you’ve heard stories of Muslims coming to faith in Christ through dreams and visions. This is the sort of thing Bell is talking about when he says that there are rocks everywhere. Jesus is drawing people to himself by whatever means necessary, and as King of Creation, he is free and able to use any tool in creation to accomplish his purposes. “Jesus is as narrow as himself and as wide as the universe.” The book ends with a fairly standard evangelical call to faith in Christ now. While not exactly a wrecking ball, I would say Rob Bell has done a good job of deconstructing the standard, fundamentalist view of judgment and the afterlife. It’s a good book to read to begin a conversation, but it is insufficient to guide you through the Scriptures in an attempt to formulate answers. 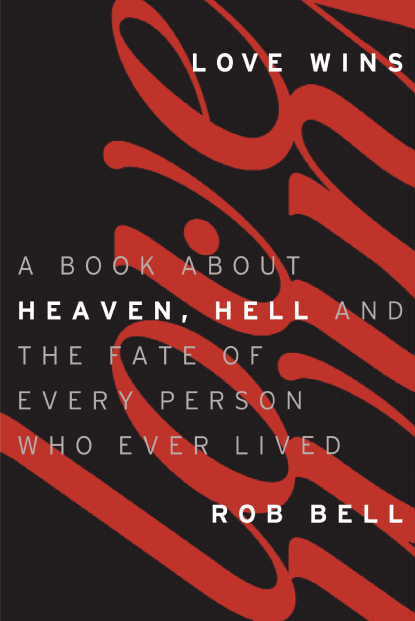 But perhaps that was Bell’s point all along; he’s always been more interested in questions than answers, and that’s exactly where Rob Bell leaves us with Love Wins: far more questions than answers, far more doubt than certainty.